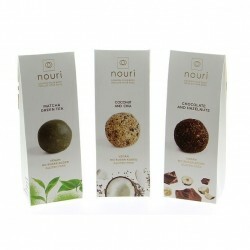 Nouri are dedicated to making top quality, great tasting food. They own their very own boutique factory where they implement the highest of standards to ensure all their products are the best they can possibly be. As a company they strongly believe each and every one of us should be able to eat real, nourishing wholefoods that are truly good for our bodies without having to compromise on taste. This idea that health and indulgence should come hand in hand led to the creation of nouri. Nouri's natural vegan balls are made from minimal ingredients without any added sugar alternatives, instead simply using juicy fruits like dates for sweetness. 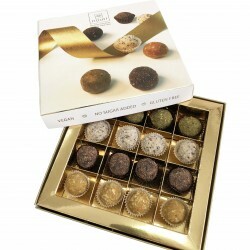 They hope you love their tasty truffles as much as they do. Enjoy!